(Settings ? Display ? Brightness Level). 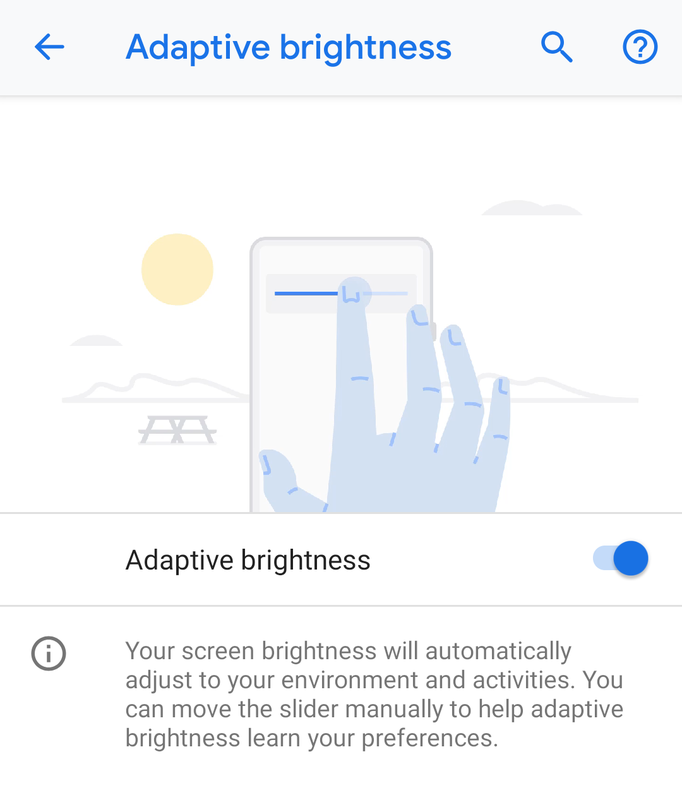 In Android Pie, Adaptive Brightness is enabled by default (Settings ? Display ? Adaptive Brightness).